W7 Face Shaping Contour Stix is a set of three contouring crayons that allow you to achieve Kardashian-esque looks. The contour trio contains two darker shades that allow you to define, bronze and contour, and one highlighter that brings out your features and enhances your cheekbones. 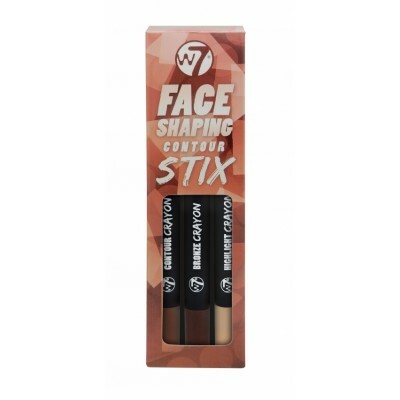 The crayons are super easy to use and allow you to effortlessly and strategically place shade and light to sculpt your face. The creamy formula of the Contour Stix allow you to easily blend the product with your fingers, a sponge or a brush, so that you can achieve a flawless, professional look. The lightest crayon (the highlighter) also doubles up as a concealer.